In the not-too-distant past, documentaries took down theme parks and McDonald's menus. Now, thanks to the current wave of "true-crime" mania, the American justice system makes for a meatier subject. By highlighting flaws in the system, true-crime films, TV series, and podcasts can have a major effect on the criminal trials they dissect -- and as in the case of Making a Murderer's youngest defendant, a well-told narrative can motivate courts to change their minds. The following documentaries were so eyebrow-raising, they freed innocent men and put killers behind bars. Netflix can now add "courtroom influencer" to its packed resume. Eight months after Making a Murderer debuted on the service, a Milwaukee judge seemed to side with outraged viewers, overturning the flimsy conviction keeping one of the docuseries' stars in prison. Once Making a Murderer gained momentum, lawyers for Brendan Dassey, who with his uncle Steven Avery was convicted of murdering Teresa Halbach in 2007, filed a federal appeal, in which they argued that Dassey's confession had been coerced. A judge agreed, and Dassey eagerly awaits the approval of the prosecution's filed appeal (and the series' Season 2, for that matter). As for Dassey's uncle, Avery's conviction still stands, but that could change in the coming months. Talk about a real-time reaction: just a day before viewers sat down to watch the final episode of The Jinx on HBO, news broke that its subject, Robert Durst, had been arrested. Durst had previously been convicted of murdering his neighbor Morris Black (out of "self-defense"), and he'd long been suspected of killing his friend Susan Berman as well. After Jinx director Andrew Jarecki turned over additional evidence to the police -- including the bombshell bathroom confession above -- Durst was taken into custody in New Orleans. His trial has been delayed due to health issues, but he's already been sentenced to seven years in prison on a weapons charge. 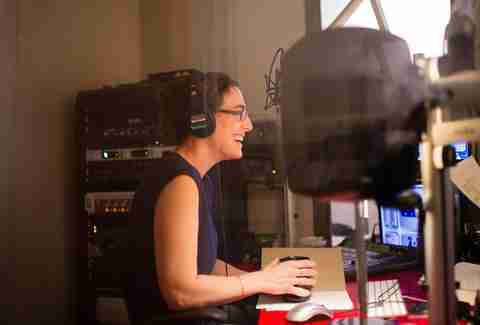 The soothing voice of Serial's Sarah Koenig took us through the case of Adnan Syed, who was charged with murdering his ex-girlfriend while he was still in high school. Syed has been sitting in a jail cell since 2000, but a Baltimore judge granted him a new trial just this summer. That judge specifically cited evidence uncovered by Susan Simpson, an attorney who blogged through Serial and later investigated the case herself for another podcast, Undisclosed. Syed's new trial has yet to commence, but you can read a book about him in the meantime: his longtime advocate Rabia Chaudry published Adnan's Story: The Search for Truth and Justice After Serial this August. The West Memphis Three -- the young men accused of murdering children in a satanic ritual in 1993 -- inspired several movies: Peter Jackson produced a documentary about them, West of Memphis, in 2012; and Atom Egoyan fictionalized their lives in the Reese Witherspoon-starring Devil's Knot in 2013. But the three-part documentary Paradise Lost was the trio's first attention-grabber. Released over 15 years, the trilogy film series gave the case such a signal boost that celebrities like Eddie Vedder and Johnny Depp got involved, pouring money into a defense fund that helped to eventually free the men in 2011. Vedder cites Paradise as his introduction to their harrowing saga, which he went on to spend 15 years fighting for -- the power of cinema! 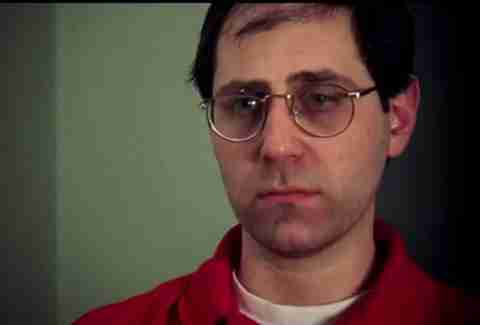 Way back in 1988, Errol Morris preempted our current true-crime wave with The Thin Blue Line. 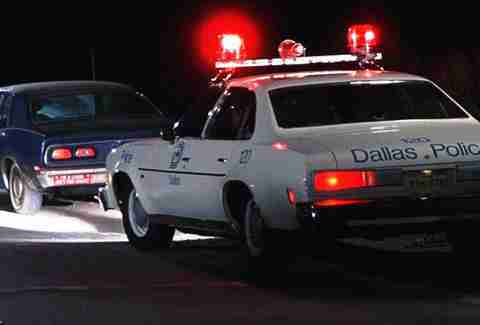 The documentary argued the innocence of Randall Dale Adams, a man convicted of murdering a Dallas police officer. Adams spent 12 years in prison, largely due to testimony from an unreliable teenager who may have committed the crime himself. After Blue Line was released, public outrage helped Adams secure a new hearing. (His lawyer hadn't been able to get one in six years on the case.) The appeals court sided with Adams, and he was released from prison -- shockingly, without earning a cent of compensation for his wrongful conviction. Adams went on to spend years speaking out against the death penalty before he died from a brain tumor in 2010. 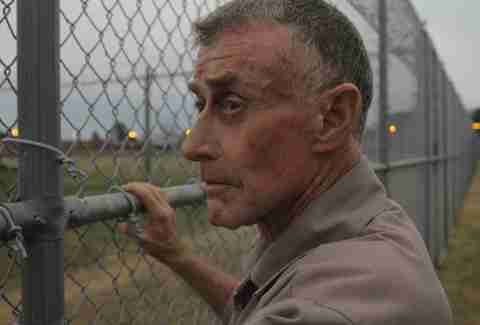 This 2004 docuseries debuted one year after novelist Michael Peterson's conviction for the murder of his wife, and he remained in jail for another seven years -- until he was released in 2011, pending a retrial. Staircase director Jean-Xavier de Lestrade seized the opportunity to film a follow-up doc, and in it, Peterson gets emotional, thanking the camera crew for helping him to secure a retrial in the first place. The outcome of that trial is still pending. Released in conjunction with a New York Times investigation, this Frontline documentary questioned the supposed suicide of Michelle O'Connell. Although investigators concluded that she shot herself with her sheriff deputy boyfriend's gun, O'Connell's family believed that the boyfriend, Jeremy Banks, killed Michelle in a fit of rage and then got his cop buddies to cover it up. A year after A Death in St. Augustine outlined this theory, Florida governor Rick Scott issued an executive order to reopen the investigation. Banks has yet to face any new charges, but courts have ordered a new autopsy, which could lead to a breakthrough in the case. Not every post-doc reinvestigation leads to justice. Before he helped put Robert Durst in jail, Andrew Jarecki was questioning the guilt of Arnold and Jesse Friedman, a father and son convicted of sexually abusing children in their after-school computer classes on Long Island. 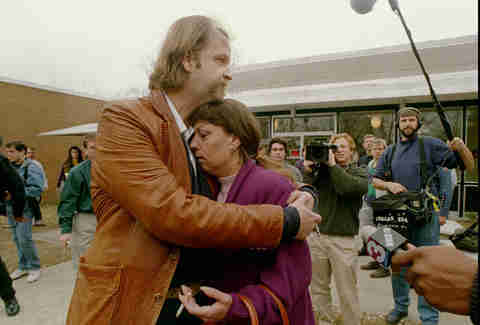 Arnold died in prison, but Jesse was released in 2001 on parole and has been trying to clear his name ever since. With Jarecki's help, he mounted a defense that led to several recantations from alleged victims and witnesses, and a reinvestigation from the district attorney's office. That reinvestigation didn't favor Friedman, but he's currently fighting to overturn his conviction. Jarecki has appeared in court on his behalf. For over 20 years, the so-called "Grim Sleeper" terrorized South Central Los Angeles. His murder victims were often prostitutes, and neither the police nor the media paid much attention to their deaths. So after Lonnie Franklin was incriminated and arrested for the crimes in 2010, director Nick Broomfield made a documentary that explored how Franklin evaded capture for so long. In Tales of the Grim Sleeper, Broomfield identified victims the police could not. He may have also sped up Franklin's court date: there was little movement on his trial for several years after his arrest, but 10 months after Tales of the Grim Sleeper premiered on HBO, Franklin's trial finally began. He was convicted and sentenced to death this summer. Kristin Hunt is a freelance contributor to Thrillist Entertainment. Find her on Twitter @kristin_hunt.